In this case as far as I know, the idea of path planning is just to compare the actual position x with the desired position x_goal. At the end, the robot would be at the position x_goal. But the Question is how to set this x_goal. If the robot doesnt have an arm, then x_goal is equal to the position that the robot has to be there. But since the robot has an arm, x_goal must takes account the reachability and singularity of the arm. What would be the most common/efficient way to estimate this x_goal in this case? Pathplanning for a wheeled robot consists of transferring domain specific knowledge into the software. Requirements like determine the xgoal position and take care of reachability of the robotarm are usually not given as a machine readable description but as expert knowledge of how to manual control the robot with a joystick. What the system engineer has to do is to convert weak defined knowledge into a pathplanner which gets executed autonomously. One option in doing so is a fuzzy control system. In contrast to the famous myth, these systems can be used in complex domains, for example pathplanning. Boufera, Fatma, et al. "Fuzzy control system for autonomous navigation of thymio II mobile robots." Journal of Emerging Technologies in Web Intelligence 6.1 (2014): 101-105. Before the pathplanner can be realized with fuzzy-rules and linguistic variables, the requirements have to be written down in natural language. This is part of the software engineering process and is done in expert-interviews. 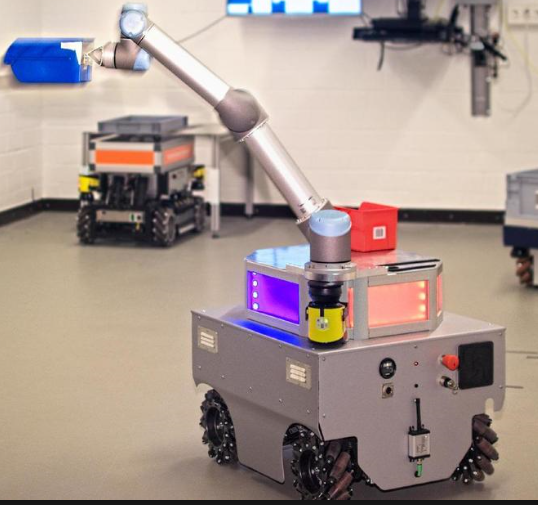 That are humans, how have controlled the robot platform in the past with a joystick and are able to explain which details are important for reaching a position. Not the answer you're looking for? Browse other questions tagged mobile-robot robotic-arm wheeled-robot motion-planning path-planning or ask your own question. Path planning vs. linear interpolation?